Chiba Travel Guide	Tokyoites' favorite golfing destination has a lot to offer! Urban chic shopping or mountain hiking. First baseline seats at the ballpark or surfing on the Pacific coast. An exciting day at the amusement park home of a famous mouse or basking in the tranquility of a “secret garden” on the grounds of a 13th-century temple. All of these can be done in Chiba Prefecture, some within 30 minutes of Tokyo. Although not even in the top half of prefectures in terms of area, Chiba is ranked firmly in the top 10 in terms of population density. Not to worry though, the balance of urban in the countryside still leaves room for the 157 golf courses where you can shoot 18 holes in the morning and still have time for so much more in the afternoon. Skip the 19th hole and try something different and authentically Chiba. Book an early tee-time and make your way to the ropeway at Mt. Nokogiri to see spectacular views of Tokyo Bay and on the clearest days, all the way to Mt. Fuji. Or, make a weekend of it and save Sunday for the mountain after playing 18 on Saturday. You can hike to Nihonji temple, and visit its massive 31m stone image of Buddha, which is nearly three times that of Kamakura's bronze statue. Or, for a real "taste" of Japanese culture, try the Soy Sauce Museum in Noda. After you’ve made the rounds on the links and possibly endured one sand trap or water hazard too many, make time to visit the Yoro Valley (Yoro Keikoku) and one of the many black water hot springs unique to the valley. It’s a great day-trip for hiking or makes a great add-on before or after you tee off for 18 holes. If a full round on the links is enough for you, why not opt for picking fresh, ripe Asian pears (nashi) straight from the tree at one of several orchards (late summer to mid-fall). In early spring, row upon row of the most amazing strawberries await. For a true Japanese culinary adventure though, venture out to Isumi City, on the eastern side of the Boso Peninsula, and visit Brown’s Field Farm. Open for lunch Friday through Sunday and some holidays, the Rice Terrace Cafe serves organic produce grown on the farm, or locally sourced, and even foraged. In true Japanese fashion, you’ll want to take a little bit of Chiba with you. Staying with Japanese friends or AirBNB? If want to present something to your hosts, a sure bet is whatever fruit is in season. Asian pear (nashi), strawberries, melon or loquat. If you’re headed overseas then fresh items are likely not an option, but look for confectionaries and other products using peanuts or loquat which are not available anywhere else. And, of course, sake from one of the many breweries in Chiba prefecture will be a surefire winner as well. 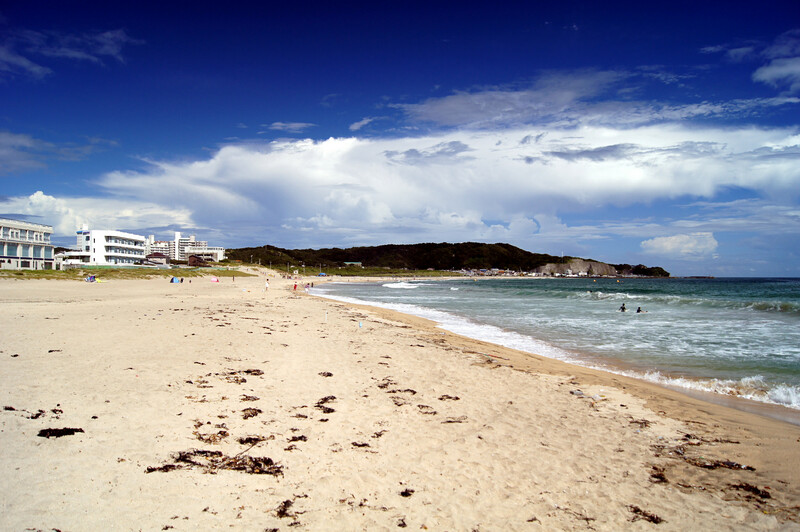 Chiba is often passed over in favor of Tokyo or Kanagawa for visitors to the Tokyo Bay and Kanto area. Beaches and mountain views, fresh seasonal produce throughout the year and plenty of Japanese traditional culture make it a great destination on its own. When you add in the 157 golf courses throughout the prefecture, it becomes clear that Chiba can be your base for everything. Just a few minutes away from central Tokyo by train or by car via the Aqua Line under Tokyo Bay. There are also several low-cost flights daily between Osaka and Narita Airport. Haneda airport also provides easy access to Chiba via Keikyu Railway.